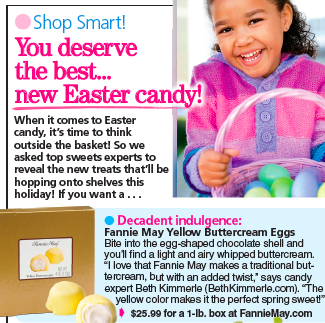 When it comes to Easter, make your basket with the best! 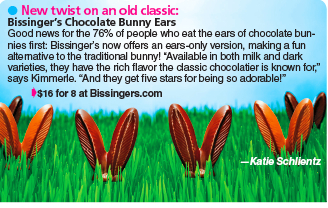 I found both classic and cute Easter options and recommended to Women's World Magazine. How could you go wrong with these marvelous ears and eggs? Listen to me on Martha Stewart Radio this morning. I am speaking with Betsy and Brian about EASTER CANDY. We will be conducting a Easter basket taste test. We're pitting "gourmet" against "basic" and "milk" against "dark"....even sampling a few bottom of the basket surprises.